To today makes the return of a wonderful series that went on the backburner for a while. 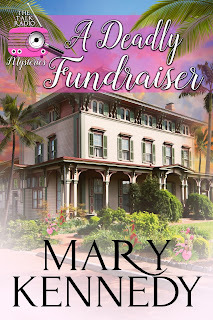 It's the Talk Radio Mysteries by the Cozy Chicks own Mary Kennedy, and the new installment is called A DEADLY FUNDRAISER. Mary's even got a dynamite video book trailer. Why not watch it now? Radio talk show host Dr. Maggie Walsh finds herself in the middle of a murder—again! An invitation to a glitzy fundraiser at a south Florida mansion sounds like the perfect evening. Maggie and her pals are digging up clues for a scavenger hunt when a real mystery lands in their laps. Suddenly the party’s over, and the killer is playing for keeps. Will Maggie and her team crack the case? 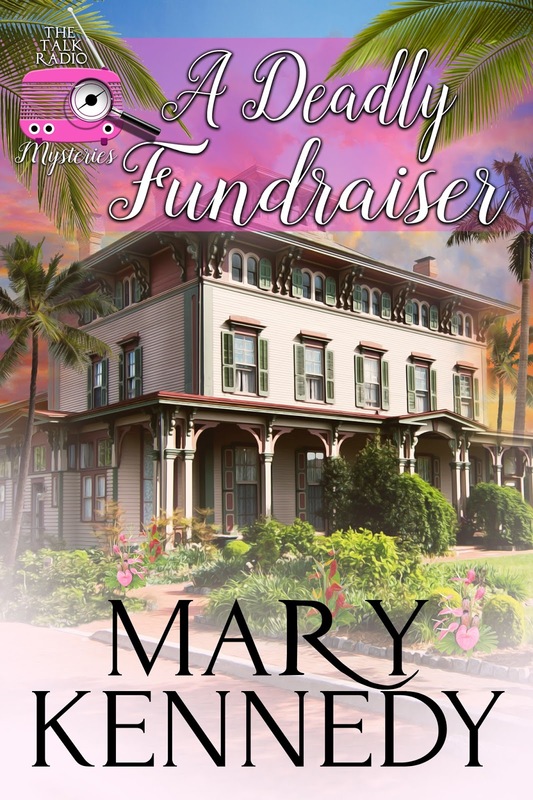 Check out Mary's website to find out about all the other wonderful books she writes.